And the Guest of Honor is…. Porsche 911 GT2 RS! 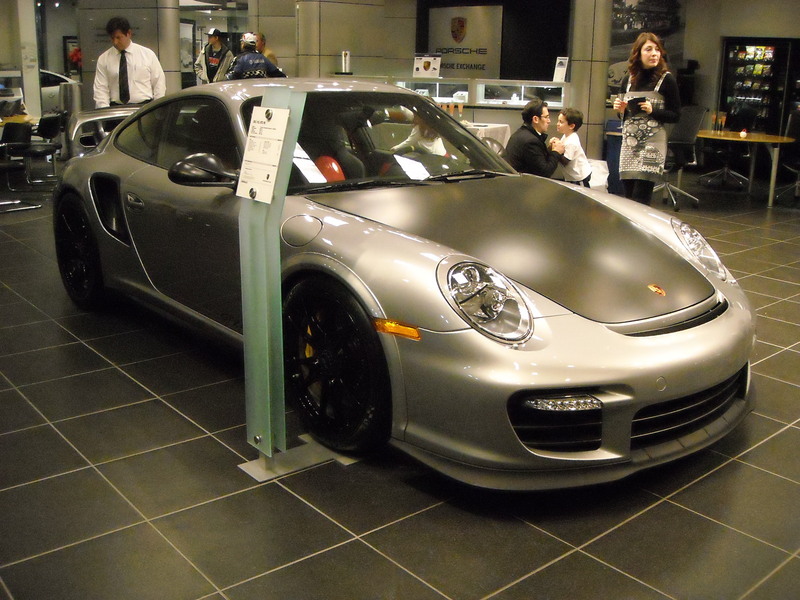 Last week I had the privilege of attending an uber-exclusive Porsche event at The Porsche Exchange in Highland Park, IL, where the “guest of honor,” for you Porsche fanatics, was the rare and limited vehicle on the showroom floor. 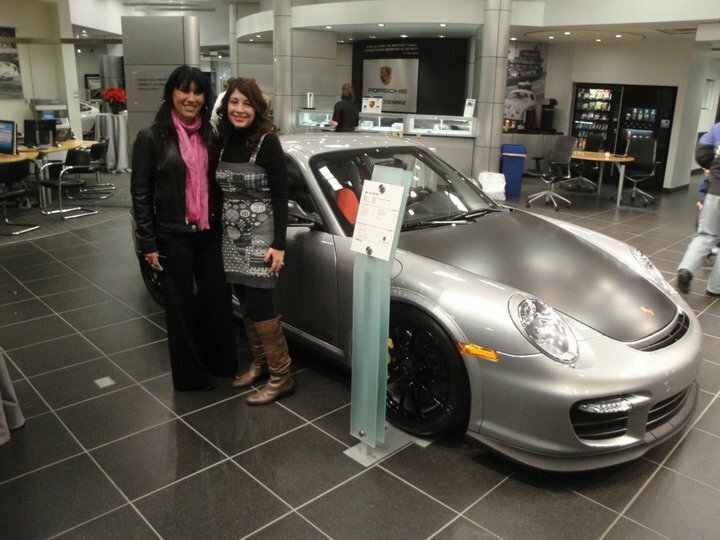 Upon arrival, I was greeted by the very hospitable Sales Manager, Faris Nijim, who led me to the 2011 Porsche 911 GT2 RS. Yes, it was the car itself, live in the showroom! Limited to only (2) public appearances in the U.S., The Porsche Exchange was the lucky contender for the second viewing of the vehicle. The former was the unveiling at the L.A. Auto Show back in the fall. Nijim proceeded to tell me that the next stop would be the Porsche Sport Driving School in Birmingham, AL, and then went on to share some of the details of the vehicle. A Porsche enthusiast himself, Nijim was eager to relay that only 138 customer cars would be built for the U.S., out of a total of 500 GT2 RS vehicles to be built worldwide. In the showroom was #31 out of 500, (which we noted from the numbered commemorative plaque on the glovebox.) The MSRP base price comes in at a mere $245, 000. Well, being the fastest and most powerful street-legal car Porsche has ever built and unmatched in its class, I thought it a relatively conservative number– relatively speaking, of course. That being said, the top track speed was recorded at 205 miles per hour, boasting 620 horsepower at 6,500 rpm and 516 pound-feet of torque at 2,250 rpm, or a mind-boggling output of 172HP per liter. 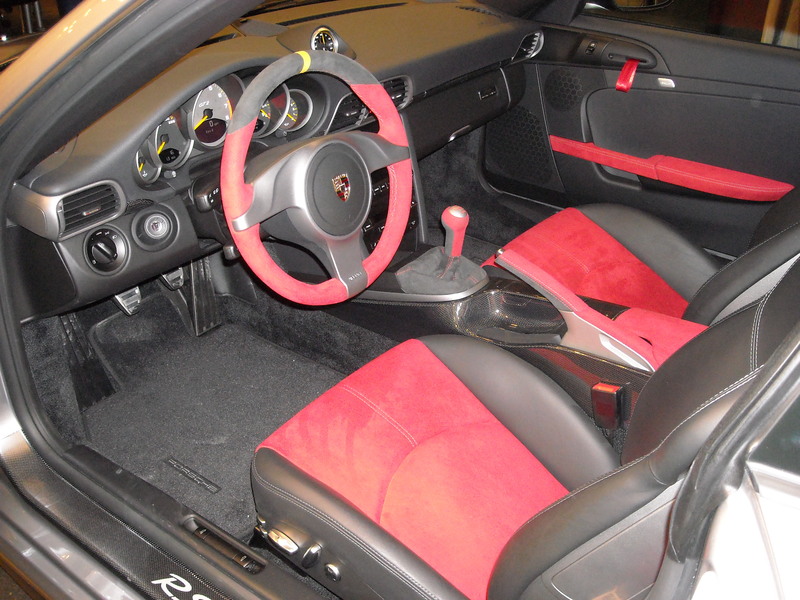 Equipped with a 3.6L twin-turbocharged engine and 6-speed manual transmission, reaching 0-60 mph in 3.4 seconds, this Porsche is not for the meek or inexperienced driver. The quarter mile flashes by in a tick over 11 seconds at an incredible 129 MPH! The color palette includes GT Silver Metallic (which is what I got to see at the dealership), black, white or red, and weighs in at 3,075 lbs as a result of a primarily carbon fiber construction and even an available lithium-ion battery. One thing I found rather entertaining was the “emblem” that adorned the hood, which was indeed a decal rather than the traditional metallic ornament, to eliminate even the smallest ounces. The national delivery date is set for February, and customers were given (2) options: they could either pick-up the GT2 RS at their Porsche dealership, OR, at no additional cost, they have the opportunity to attend the Porsche Sport Driving School (Birmingham, AL for the Midwest), where high-performance, professional drivers will teach them the techniques and skill to handle their ultimate driving machine. 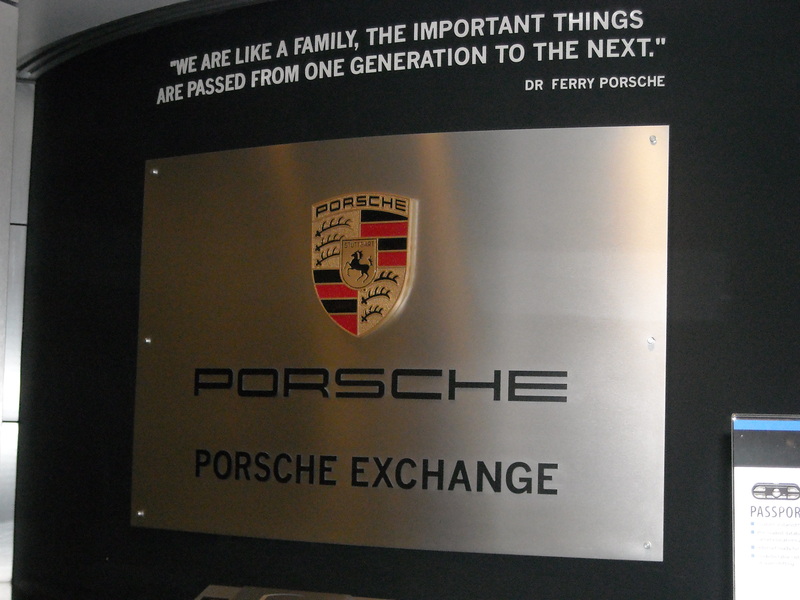 To give you a bit of background on the store, The Porsche Exchange has been family-owned for over 30 years, at their current location for over 7 years. And for those of you movie buffs out there, this was the dealership that appeared in the movie “Risky Business!” They are ranked the number ONE store in the Midwest, and fluctuate between number 12-15 in the entire country out of 200 franchises. 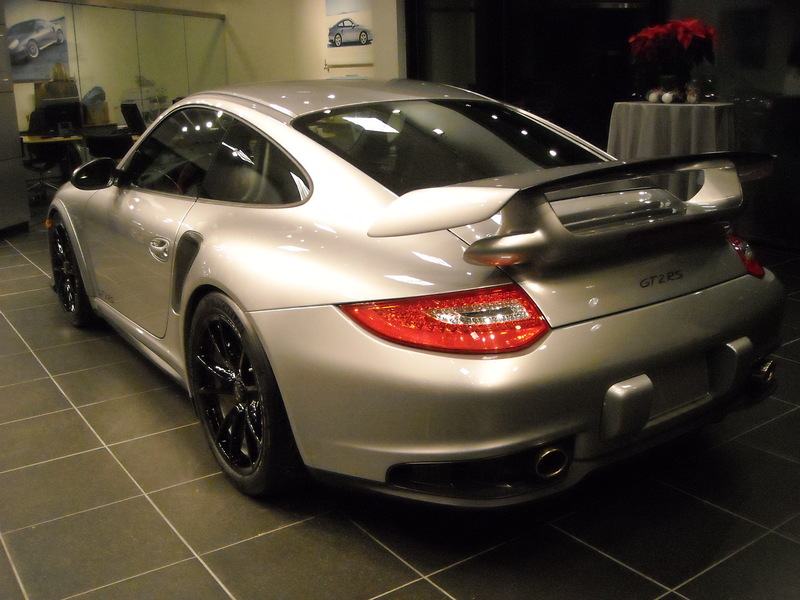 This past year (2010) they sold close to 400 new cars– not too shabby for an unstable economy, and out of the 138 new 911 GT2 RS vehicles, they are getting two of them. One thing I noticed immediately, was the immaculate showroom, and Nijim went on to explain that The Porsche Exchange is one of the first stores to align with the corporate identity design. Furthermore, because of their status and deep involvement with corporate, they are one of the first dealerships to pilot the “Porsche Experience”, which he explained as being the ultimate program in Porsche identity, which they also helped to create. I’m not talking product knowledge here, that’s an obvious requirement for an employee. The program is simply about the customer experience, and how Porsche wants to be the first and only automaker with a globally certified customer-facing workforce.. Beginning in March with the pilot, The Porsche Exchange will be investing over $4,500 per employee to participate in the program. Delving further into the customer service experience displayed at The Porsche Exchange, I had the opportunity to speak with co-owner & VP, Bruce Semersky, who shed light on a particular situation that he encountered. Ladies (and gentlemen), how did The Porsche Exchange build their top-notch reputation? Well after speaking with Semersky, it was evident that even from the onset of ownership, they were a forward-thinking group. He told me a story about his experience with an employee that insulted one of his female customers back in the 70’s. Luckily for the customer, Bruce happened to be in the vicinity and intervened, AND proceeded to fire his employee for not displaying all due respect to the customer because she was female. Impressive, to say the least! Ladies… this is a store I’d buy my Porsche from, hands down. No wonder they’re the number ONE volume Porsche store in the Midwest– they stand behind their motto “Expect the Exceptional.” Actions speak louder than words, that’s for sure.